The title is the basic gist of it: covering all the Love Live duets in English! Each girl (with the exception of Honoka and Kotori who have one and three respectively) has two duets they have to sing in, so it's a fairly low-commitment project if you're looking for something like that. If anyone's interested we may also cover some solos as duets (who's needing their RinPana duet?? ME). I've self-casted as Umi and will be mixing and providing lyrics, but if anyone is interested in helping please PM me. I'd love to work with you! Since I can have multiple projects running at the same time, this will probably take a few months at most. I'm planning to upload all covers to both Youtube and Soundcloud as soon as they're released as well, so if you have any video editing skills please contact me or audition. I need an email and Skype from everyone casted. 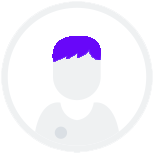 I'm looking for people who have as natural of a voice as possible while still staying in character: you don't have to sound exactly like them so please don't strain your voice or try to overdo anything. Your relaxed voice is great! I will be casting people who stay on pitch and on rhythm, so if providing a backing track helps then by all means go ahead. If you don't know who to audition for, comment a link and I'll tell you. Generally just have fun! I'm excited to see your auditions and the final product! If you have any questions comment or PM me. Honoka has a strong, enthusiastic high voice. She has little to no squeak or delicacy in her voice, so belt those lines! Her one duet is with Rin on Mermaid Festa Vol.2: Passionate. Sing any Love Live song (preferably a Honoka duet/solo) in English! Kotori's voice is high, smooth, and cutesy, rounder than voices like Nozomi's. Less is more in this role especially when it comes to the cute voice! Her three duets are in Anemone Heart, Suki desu ga Suki desu ka?, and Kokuhaku Biyouri, Desu! Sing any Love Live song (preferably a Kotori duet/solo) in English! Maki's voice is sultry, nasally, and mid-high. Listening to Daring!! is a huge insight; she's very passionate and dramatic! Her two duets are in Zurui yo Magnetic Today and Beat In Angel. Sing any Love Live song (preferably a Maki duet/solo) in English! Rin's voice is sunny, strong, and clear. Unlike others like Umi, her tone is more airy and light, though everything is very clearly enunciated! Her duets are Beat in Angel and Mermaid Festa Vol.2: Passionate. Sing any Love Live song (preferably a Rin duet/solo) in English! Hanayo's voice is soft and sweet, even in contrast with girls like Eli and Kotori. Her words have a kind of pucker at the ends, though nothing about her voice is pronounced! She has two duets: Suki desu ga, Suki desu ka? and Kokuhaku Biyouri, Desu! Sing any Love Live song (preferably a Hanayo duet/solo) in English! Nico's voice is high and sharp, but definitely capable of hitting low notes. Her tone is very cutesy in general, and she has a way of talking that stands out! She's in Otomeshiki Renai Juku and Zurui yo Magnetic Today. Sing any Love Live song (preferably a Nico duet/solo) in English! Eli's voice is soft, though mature and capable of going to both powerful lows and highs. She has a pronounced strength behind her words, along with some nasality! Her two duets are in Garasu no Hanazono and Storm in Lover. Sing any Love Live song (preferably an Eli duet/solo) in English! Nozomi's voice is as sharp as Nico's, though more nasally and less rambunctious. There's a certain calmness to both her lines and her character that should be conveyed! Her two duets are in Garasu no Hanazono and Otomeshiki Renai Juku. 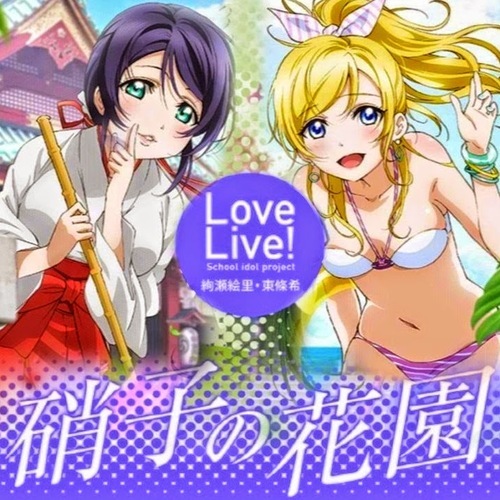 Sing any Love Live song (preferably a Nozomi duet/solo) in English! Videos will be as basic or as complicated as you can make them, so don't worry too much about things. If you know anything about editing, I really encourage you to audition! Send me a link of your work or some other proof that you can video edit!